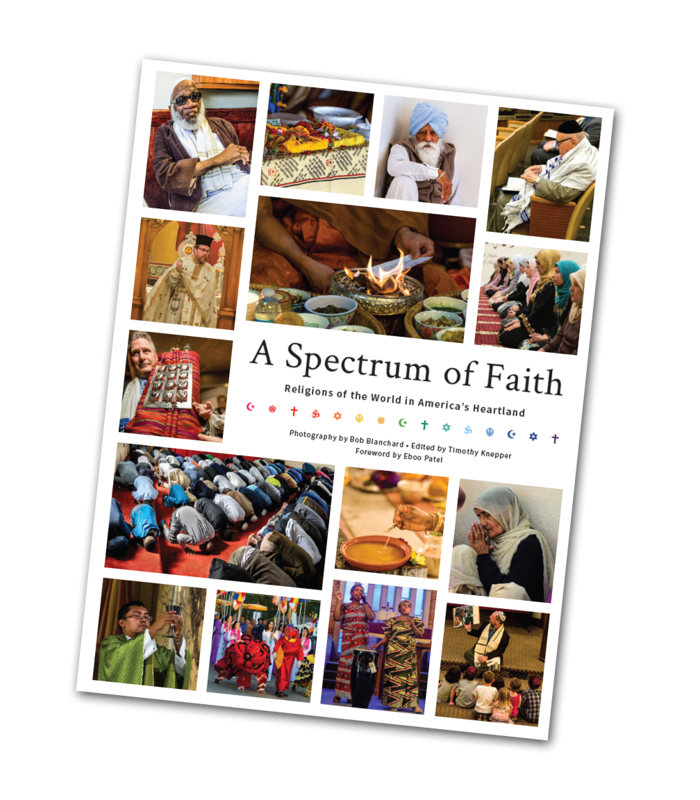 A Spectrum of Faith is available for purchase at Beaverdale Books, the Drake University Bookstore, and the Des Moines Area Religious Council's administrative office. A Spectrum of Faith: Religions of the World in America's Heartland invites readers on a vivid journey through words and pictures into the diverse religious communities of greater Des Moines. Explore the south-side office park transformed into a Buddhist monastery as well as the Basilica in the city’s center named to the National Registry of Historic Places; discover the Hindu temple rising above the cornfields of nearby rural Madrid along with the mosque, synagogue or gurudwara tucked away in a neighborhood near you. A Spectrum of Faith: Religions of the World in America's Heartland is a joint product of Drake Community Press, The Comparison Project, photographer Bob Blanchard, and DMARC. Support comes from the Slay Fund for Social Justice and Cultivating Compassion: The Dr. Richard Deming Foundation. Watch a documentary on the making of the book!